One day after 20 years, almost all of the people are looking at the game channel on TV. There will be a new online game named “The Unlimited World” which shall start running. In order to promote his game, the chairman of the board named Huangzuan gives Yu Tian a full set of game equipment. Surprisingly, the game helmet can let Yu Tian join the game. Let’s wait and see what will happen on Yu Tian in “the Unlimited World”. 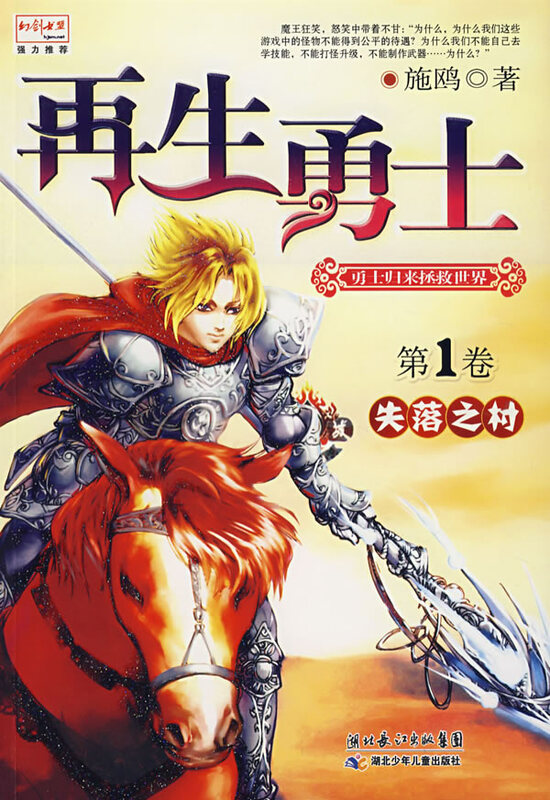 I have read 10 volumes of the Chinese version of this fantasy. This fantasy laid many clues, and with the development of the story, you will find the effects of these clues. For examples: you will discover the great function of an equipment that the protagonist already thought useless, you will find an ordinary NPC' real identity. At that time, you will suddenly realize a fact that the author already worked up this plot. So, please keep reading, and you will like this fantasy. The opening is very special. It's somewhere similar to the Sword Art Online. But it is different though. MC is an vegetative patient, his anime is an program, an interesting setting. Even through the translation has some problem, but the setting of the story is really rare, it is a good one. The skills, professions, equipment are so complex in ranking. They confused me in some ways. 4/5 I think. But others are so bad, so I gave it 5. First of all, I have to say. This story is very interesting. It seems that it revolves around a highly advanced AI that knows how to think like a human. Essentially, such AI (instructed by humans) are invading a game managed by a super AI (seablue) as the game is taking away all the profits from the other games. ... more>> It seems that thoguh the technology is good, it is very dangerous when utilized by the AI. I'll rate this 5/5 but the translation done for this is quite bad. Though not the worst I've seen and is readable as long as you think for a bit. The grammar isn't the best and the structure of the sentence makes no sense sometimes. I recommend to give this a try if you can stand the translation. I probably won't continue on due to the translation though. This novel is comparable to LMS (legendary moonlight sculpture). If you enjoy that, you probably will enjoy this too.